This Barcelona-inspired tapas bar is both spacious (bye, bye waiting for a drink) and full of energy (hello, attractive man with the loud laugh). 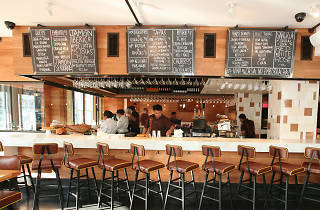 Those qualities, plus solid happy hour deals, make Boqueria a natural meeting place for nearby office workers. In addition to $7 wine cocktails, the discounted menu includes $25 pitches of sangria and classic Mediterranean snacks like patatas bravas and a Spanish omelet. 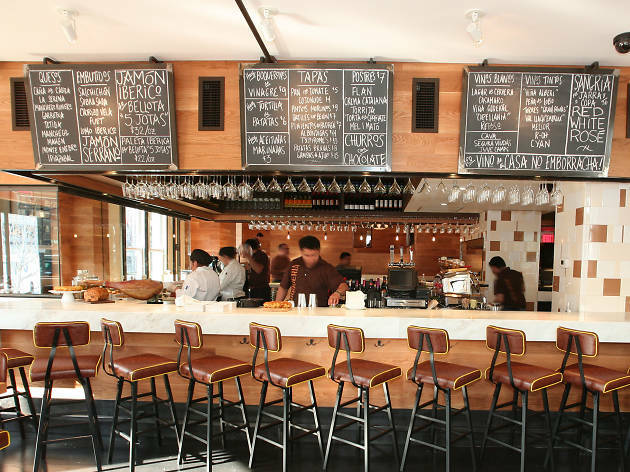 And for your hangover in the morning, keep in mind that Boqueria’s brunch is one of DC’s finest.